Buy-sell agreements come in three basic forms but must be individually tailored to suit the specific needs of your business. Make sure the agreement meets your ongoing needs, including tax, retirement, insurance and funding issues. Without appropriate “exit” plans in place, ownership changes can be worse than Hollywood divorces—bitter, expensive and devastating to all involved. Almost all owners of closely held businesses put all of their time, effort and money into launching and growing their businesses. Tragically, they put little effort into protecting what they have built from devastation caused by one or more of the owners leaving the business. Without an appropriate “exit” plan in place, changes in business ownership can be worse than a Hollywood divorce—bitter, expensive and devastating to all involved. Don’t be fooled! Changes in ownership happen every day in all types of businesses for a multitude of reasons: death, retirement, disability, divorce, voluntary and involuntary termination of employment, lawsuits, financial and economic setbacks, bankruptcy, and selling and gifting interests, just to name a few. The disruptions caused by these events usually result in severe financial consequences for everyone involved, including collateral damage to customer, supplier, banking and employee relationships as well as to long-term company goodwill. Perhaps the biggest tragedy is that most, if not all, of the aforementioned problems can be avoided by putting a well-drafted buy-sell agreement in place right from the start. That’s when all the owners are still in the “honeymoon” stage of the business and relations are most amicable. However, it is never too late to put a buy-sell agreement in place, and some honest thought and open communication will strengthen and protect the business and bring peace of mind to everyone involved. Remember, ownership changes are bound to happen, but having a plan in place to deal with those changes will always smooth out the road ahead. 1. Cross-Purchase Agreements, which can be ideal for a business with a small number of owners. When a triggering event occurs, the remaining owners directly purchase the departing owner’s interests in the business. 2. Stock Redemption Agreements, which can be simpler and easier to structure. Generally they can be better-suited for entities with more owners. With these types of agreements the entity purchases the ownership interests of the departing owner. The remaining owners receive an increase in the value of their interests, not in the number of interests they own. 3. Hybrid Agreements, which are a combination of cross-purchase agreements and redemption agreements. Generally the entity has the obligation to redeem the interest of the departing owner, but the remaining owners have the option of directly purchasing the departing owner’s interests if the entity is unwilling or unable to do so. How many owners does the business have today and will have in the future? Is the business family-owned or are third parties involved? What type of business is involved, and are there specific issues that need to be addressed relating to the entity’s business, such as professional licensing or trade issues? What is the legal structure of the business: corporation, S corporation, partnership, limited liability company? What is the age and health status of each business owner? Is each of the owners insurable? What percentage of the business does each owner hold? What is the value of the business, and how is that value determined? What are the tax implications of each type of agreement? What are the transfer implications of each type of agreement? What restrictions will be put on the transfer of interests? Will the interests be subject to rights of first refusal? How will the business be valued and the purchase price determined? How often will the business be revalued? Will the interests be valued differently depending on the specific transfer event? Will there be penalty provisions for violating the terms of the agreements and/or conduct damaging the business? How will the transfer of interests be funded? Will insurance such as life insurance and disability insurance be mandated, and if so, how will premiums be paid? How will the transfers be paid, all upfront or over time? If the payments are over time, what are the terms and the arrangements to secure payment? Is the agreement aligned with other important legal documents such as the entity organizational documents, employment agreements, business agreements and contracts, banking agreements, and the estate planning documents of the individual owners? Coordinate the agreement with related property that may be owned by each of the business owners. Examples include affiliated businesses, insurance policies, land and personal property, intellectual property, and leases. How will termination of the business be handled? How often will the agreement be reviewed? Doing so annually is a good idea. How will disputes related to the agreement be handled—litigation, mediation or arbitration? The foregoing is not a complete checklist of every issue that needs to be considered, but it will give you a good platform to begin discussions between you and your legal counsel. First, properly structured buy-sell agreements are critical to the survival of any closely held business; they are not an option. Second, these agreements must be tailored to the specific needs of the business. One size doesn’t fit all. Finally, businesses and relationships constantly change; consequently, buy-sell agreements must be reviewed and updated regularly. An out-of-date agreement is next to worthless. · If you are passionate about a particular cause and there is no charity that supports it, you can start your own charity. · Charities can be set up to support overseas causes as well. · Self-started charities can be especially beneficial for those planning to donate over $10,000. The good news: With the right planning, you can start a charity to support exactly the causes you care most about--anywhere in the world. There are many charities that are registered in the U.S. that support overseas causes. For instance, Help for Animals India, a charity based in Seattle, was started to help the animals of India. Many alumni groups also set up nonprofit organizations to support the educational institutes at which they studied. First the charity will need to get an employer identification number (EIN). This ID is similar to an individual’s Social Security number. ﻿Contact us any time if you or someone close to you is thinking about taking their philanthropic game to the next level. · The most impactful gifts are often the result of personal tragedy or triumph. · We spend so much of our lives in the wealth accumulation phase that it’s easy to forget the positive impact that our money can have on others. · An astute advisor not only helps you optimize your investments, cash flow and wealth protection, but your legacy as well. Meetings with your financial advisors bring to mind thoughts of balance sheets, net worth statements, stock options, investments, insurance policies and employee benefits. While these documents tell your various advisors what you have, they don’t tell them who you are, what you want or what truly motivates you. I’ve learned over the years that after gaining a client’s trust, and after carefully opening the door to their personal side, we find out what truly makes them tick and what shapes the lens from which they see the world. Often we come across tremendous stories of tragedy and triumph (or both). These are pivotal moments in an individual’s background – typically turning into a focus for future action. And sometimes that action is philanthropic – one that highlights the triumph or attempts to solve the problem that caused the tragedy. For instance, a daughter’s death at the hands of a drunk driver left a family with such a need for a voice that Mothers Against Drunk Driving (M.A.D.D.) was brought into existence. Today, M.A.D.D. is the largest advocacy group in the country focused on preventing individuals from driving while intoxicated – its existence motivated by a heartbreaking loss. Everyone deals and reacts to adversity in their own way – we must understand and accept that. While tragedy is one side of the equation, there are also triumphs to celebrate – easier to discuss and just as big a motivation. Many years ago I worked with an extremely wealthy individual who kept telling me that he wasn’t charitable and that he didn’t really care about much of anything. He went on at length about how he was “self-made” and had come from nothing. It wasn’t until when he revealed that he’d been raised in an orphanage that I realized how critical the orphanage had been to his upbringing and success. Today, that orphanage is endowed by a large gift by my client. It not only represents his personal victory, but an acknowledgment to the people who helped him triumph over his circumstances. For some, it may be a coach, teacher or program that launches a successful athletic or academic career. It may be the person who helped you discover that you were good at math or the person who took the time to elicit your musical genius when no one else could see it. By doing so, we may discover a desire to make a gift, to return the favor, to pay it forward. Change is an inevitable part of life. We start new jobs, we send kids off to college, we lose a parent or gain a grandchild. Change can be daunting – but viewed through a different lens, it presents opportunity to raise the important questions about philanthropy. In many circumstances, philanthropy can be the best solution to the change that’s taking place – if only we think to ask our advisors how. Let’s look at some major life changes and see where you and your advisor might discuss gift opportunities at the appropriate time. Suppose you are approaching retirement. Let’s assume you are the major breadwinner of your household and you are also hoping to downsize. As ordinary income (your paycheck) ceases, the desire to convert dormant or low yielding assets into supplemental income normally increases. This may be an opportunity to reposition low-basis assets into a pooled income fund (PIF), a charitable remainder trust (CRT) or even a gift annuity. Furthermore, the downsizing might free up additional capital with which to consider similar split interest gifts. The birth of a grandchild may inspire a fund for college education. You can go the traditional 529 route or consider certain types of CRTs that turn into income in 18 years. Widowhood is another significant life change that triggers emotional and financial upheaval, and often changes to family dynamics. If your late spouse was the main financial decision maker in your relationship, you may feel lost and frightened about the future. Perhaps the best solution is simplification and consolidation – taking multiple accounts and creating one large gift annuity, charitable trust or pooled income fund that delivers quarterly income. You should also examine gifts such as life estate agreements – which relieve the children of dealing with a house they usually don’t want anyway. A serious illness is another major life change that brings a host of emotional and financial worries. But as you and your family delve into researching your loved one’s illness and treatment options, it can also motivate giving to support further research into curing or ameliorating that illness or disease. Change is everywhere and change is constant. While some changes go unnoticed, others represent a prime turning point in our lives. We spend so much of our lives in the wealth accumulation phase that we sometimes forget the power our wealth can have to make lives better for others. Just as an astute advisor can help you optimize your investments, cash flow and wealth protection strategies, he or she can also help you optimize the power of your giving. All you have to do is email us or give us a call. · Age, accidents or illness can prevent even the most well-organized and financially astute people from handling their own finances or health care decisions. · Thanks to advances in medicine, health and longevity, many people are living 30 to 40 years after their prime wealth accumulation years have ended. · Advanced medical directives deal with personal care and medical issues, including surgery, placement, medication, assisted living, full skilled-care living and end-of-life decisions. · If you don’t have the necessary documents in place, unfortunately these decisions will have to be made under a court-supervised process. Many people are diligent about planning for and protecting themselves against personal, legal, tax and financial problems. But health care, or the ability to make important decisions about long-term care, often gets overlooked. Life insurance statistics show that a 50-year-old now has at least a 50/50 chance of living to 110. That’s right a century, PLUS another decade! With an average U.S. retirement age between ages 60 and 65, you could realistically expect to live for 30 to 40 years after your prime wealth accumulation years have ended. In estate planning, we often talk about preserving wealth and passing it on to the next generation. But given the demographics of aging, inflation, health care needs, etc., it is quite possible that your wealth will run out before you do. That’s why it’s so critical to appropriate estate planning documents in place, including wills, trusts, appropriate beneficiary designations and designations of guardians. Unfortunately, because of age, accident or illness, many people may face the prospect of being unable to take care of their own finances or to make their own health care decisions. Therefore, proper documents need to be put in place to allow someone else to make appropriate decisions on your behalf. Because of health and aging, everyone faces the prospect of financing long-term health care needs, including the possibility of assisted living and full skilled-care living. If these costs are not planned for, they can be financially devastating. We can’t fight the aging process or prevent unexpected events that impact our quality of life. However, proper planning and documentation can go a long way toward creating peace of mind. It’s very comforting to know we have put in place appropriate planning to eliminate, to the extent possible, financial, legal, tax, health care and other problems that, one way or the other, are bound to occur during our lifetime. Regardless of age, health, assets and income, everyone needs to have in place a well-drafted “financial durable power of attorney” and appropriate advanced medical directives. An advanced health care (or medical) directive is a set of written instructions that people use to specify the actions they want to be taken for their health in the event they are no longer able to make their own decisions due to illness or incapacity. The instructions appoint someone (an “agent”) make such decisions on the person’s behalf. Advanced medical directives normally include health care powers of attorney, living wills and more. If you are unable to attend to your financial, personal care, or health care matters because of age, accident or illness, no one can make these decisions for you unless the decision-making authority has been specifically designated in writing. Financial durable powers of attorney concern assets, income, other financial matters and dealings with government agencies. Advanced medical directives deal with personal care and medical issues, including surgery, placement, medication, assisted living, full skilled-care living and end-of-life decisions. If you do not have these documents in place, unfortunately these decisions will have to be made under a court-supervised process known as a “guardian of the person” (for personal care and medical issue decisions) or a “guardian of the estate” (for financial matters). Guardianships are expensive, personally intrusive and perhaps the worst way to manage any of the decision-making processes. The proceedings can be very traumatic and expensive. Guardianships of the estate or person are easy to avoid if the appropriate documents are put in place. A final word of caution: Be careful about using simple forms! Simple forms often ignore many of the decisions that will have to be made throughout the course of a lifetime; the decisions that may be critically important to the family need to be specifically addressed in the documents. You have six major types of estate planning needs—health care is one and avoiding guardianships another. We’ll discuss the other four in a future article. You need to be aware of these issues and of the significant dangers caused by insufficient planning. Nobody enjoys discussing the possibility of one’s demise or deterioration. But, the sooner you do, the sooner you can get on with the business of enjoying all that life has to offer, especially with those closest to you. What Should You Do If You Strike It Rich? Have you done the tax, estate and charitable math? · Collectibles are considered “tangible personal property” and are, therefore, taxed differently than other capital assets. · For collectibles, the long-term capital gains tax is at 28 percent (not 20 percent) as it is for stocks or real estate. · Gifting collectibles to charity requires a qualified appraisal and the recipients must be used for its charitable purposes. If not, you’ll have to take a less valuable deduction. It is estimated that 30-percent of high net worth families collect art, antiques, coins, classic cars or other valuable assets that aren’t traded on an open exchange. Often referred to as passionate assets, they represent both a challenge and an opportunity for advisors and their clients. Many enthusiasts don’t think of their collectables as they do their other assets – collectibles are loved, cherished, and coveted. They hold a meaning and identity that is incomparable to their economic value. If you’ve ever been to a classic car show and stayed less than an hour, you did it wrong – to put it bluntly. Ask an owner about their gleaming, perfect specimen of a 1940 Duesenberg and you’ll get a detailed rundown of its history from the factory floor to present day, sparing no details in between. This is true for most collectors – be it toy trains, fine art or baseball cards. That visceral connection is what makes planning for the “succession” of the collection so challenging. Yet, plan they must. Is the next generation even interested in the collection? Better find out. Who owns the collection? Better find that out, too. It’s the planner’s chance to make a huge difference in the final value to the family. VERY IMPORTANT: Collectibles are considered “tangible personal property” and are, therefore, taxed differently than other capital assets are. For collectibles, the long-term capital gains tax is at 28 percent, not 20 percent, like it is for stocks or real estate – that’s a significant bump. Furthermore, gifting your collectibles to charity gets complicated because you need a qualified appraisal of the collectible at the time of the gift. Further, the charity must be able to use the gift for its charitable purpose in order for the deduction to be at fair market value instead of the less valuable cost basis. Proper planning can address these issues and you need to make sure your advisor can assist you properly, or have access to an expert specializing in this area. Keeping the collection in the family can be accomplished only with solid planning – as well as preventing a fire sale to create liquidity to pay estate taxes at the death of the collector. What matters is aligning your goals for their collectibles with the tools and strategies that will accomplish them. · Do we use a pooled income fund to sell of the collection little by little? · Do we transfer to a private operating foundation and endow it with capital to keep the collection in the family? · Do we utilize monetized installment sales to defer capital gains tax for 30 years as we liquidate? Any or all of these strategies may be applicable to your situation. If he or she hasn’t done so already, make sure you open the dialogue with your advisor(s) about your valuable collections. When the caregiver whom Amy Goyer, of Phoenix, hired for her 93-year-old father seemed particularly tired recently, Goyer realized she had been so busy she wasn't aware her employee needed a vacation. As it happens, that caregiver is also her sister. "A loved one who provides care can get burned out, too, just like any other caregiver," says Goyer, who is also AARP's family and caregiving expert. "We worked out ways for her to have paid time off." Goyer, age 56, and her sister, age 59, already had created and signed a simple caregiving agreement. And even though Goyer is "on the same page" as her sister, it's still hard to get everything right. "It can get tricky," says Goyer, who holds power of attorney for her father. Family caregiver contracts, also called personal care agreements, range from informal, like Goyer's, to complex professional contracts drawn up by lawyers. Families usually create them when one relative is handling most of the care for an elderly parent. A contract enables family members to spell out payment, a work schedule and expected duties. Another benefit: members formalize the compensation for a relative who is making financial sacrifices in order to provide care. A family caregiver may have quit her job or cut back on hours. Adding to the financial hit, a 2016 AARP study found family caregivers spend about $7,000 a year on out-of-pocket costs relating to care. And the contract may avoid future conflicts—assuaging any hard feelings, for instance, when a relative providing the bulk of care inherits a parent's home. But, sometimes, drawing up a contract stirs up emotions tied to sibling rivalries and past disputes. Non-caregiving family members may resent paying a relative whom they see as living rent-free in a parent's house. And families often don't draw up contracts until a crisis arises. "Sometimes we have to call a mediator in," says Springfield, Mass., lawyer Hyman Darling, president of the National Academy of Elder Law Attorneys. If your family is considering a caregiving contract, there are ways to avoid some of the acrimony. First, the relative who is the caregiver should explain to the family how much work he or she is doing and what kind of help is needed, says Amanda Hartrey, a family consultant with the Family Caregiver Alliance, a nonprofit caregiver resource and advocacy organization. Call a family meeting to discuss the contract. Set an agenda, and keep it narrowly focused. At the meeting, make the point that "this should be treated as a business meeting and not a therapy session," Hartrey says. Note a starting date in the contract, and specify a work and payment schedule, such as hourly or bi-weekly. Check with local home health care companies to set a fair pay rate. Caregivers also should be required to keep a daily, detailed journal documenting their hours and care provided, says Kerry Peck, a Chicago elder law attorney. That will help if any questions arise about the contract, particularly if a parent later files for Medicaid. Families need to have written proof the money they paid a relative was for caregiving duties, not a gift to spend down assets to qualify for Medicaid. Set boundaries, as you would for any other paid caregiver, Goyer advises. If a parent has a nonsmoking household, specify whether the rule applies to family caregivers. Designate responsibility for expenses, such as whose car will be used to take a parent to appointments, and who will pay for gas and parking. Work out issues such as paid time off and sick leave. Include an escape clause, Goyer says. A caregiver might find the work too overwhelming if a parent's health or mobility declines. Or a parent may go into a nursing home or assisted living. Goyer says that she and her sister like working together. But "we're sisters," she says. "We're still going to quibble." In this post, we offer advice on how to build, protect and enhance your wealth, time-tested strategies to help you keep your eye on the ball, and our top tips for finding value, so your hard-won wealth doesn’t leak out in dribs and drabs. We devote a section to the biggest goal of all -- a secure retirement. And because life isn’t all about making money, we include fulfilling ways to give back. Take a look. 1. Wealth creation isn’t a matter of what you earn. It’s how much of it you save. 2. Your biggest barrier to becoming rich is living like you’re rich before you are. 3. Pay yourself first. Arrange to have your retirement and other savings deducted from your paycheck before the money hits your bank account. If there isn’t enough left over for your bills, cut your spending. 4. No one ever got into trouble by borrowing too little. 5. Conspicuous consumption will make you inconspicuously poor. 6. The key to stock market success isn’t your timing of the market. It’s your time in the market—the longer, the better. 7. Diversify, because every asset has its day in the sun—and its day in the doghouse. 8. Keep a cool head when others are losing theirs. When others are selling investments, it’s usually a good time to buy. The foundations of great fortunes are laid in bear markets, not bull markets. 9. Money can’t buy happiness, but it can make unhappiness easier to bear. 10. Sharing your wealth with others is more fun than spending it on yourself. If you're eager to pass along accumulated wealth to heirs in the most tax-efficient manner possible while also retaining the ability to support a charity either right away or at some point in the future, then a split-interest trust may be just the tool you need. Split-interest trusts are so named because their financial interest is split between two beneficiaries -- typically a charitable beneficiary and noncharitable beneficiary. Two of the most popular types of split-interest trusts are charitable remainder trusts (CRTs) and charitable lead trusts (CLTs). The two vehicles are related, yet fundamentally different. They essentially work in opposite fashions. A CLT pays income to a charitable beneficiary for a certain period of time, after which the remaining assets in the trust (the remainder interest) passes to a noncharitable beneficiary or beneficiaries, such as children or grandchildren, or even the donor. With a CRT, the assets place d in trust provide a stream of income to noncharitable beneficiaries for a period of time, after which the assets become the property of a charity. Income tax, capital gains tax, and estate and gift tax differ significantly between CLTs and CRTs. As a result, you should seek the advice of a qualified tax and trust professional before determining which strategy is better for your situation. A CLT can be set up to pay either a fixed annuity or a unitrust amount to a charitable organization, which means that it can pay either a fixed dollar amount each year or a fixed percentage of the fair market value of the trust's assets. While there is no limit on the amount of time a CLT can remain in effect, it must be for either a predetermined number of years or until the death of the donor. CLTs are often the tool of choice for individuals with assets that have a high potential for future appreciation. They may also be well suited for those with heirs who are minors or otherwise not ready to assume full control of significant assets. By creating and funding a CLT, a grantor can make final arrangement for the disposition of an estate, but defer the date at which beneficiaries actually receive and control the property. In the meantime, the charity of choice receives immediate and ongoing benefits. When the assets do eventually pass to the noncharitable beneficiaries, they are not subject to the federal estate tax. Keep in mind, however, that the grantor is not able to claim an income tax deduction for making contributions to a CLT. In addition, the grantor may have to pay a federal gift tax on a portion of each contribution, albeit only on the value of the remainder interest earmarked for noncharitable beneficiaries. Also remember that while a CLT allows assets to pass to heirs with no federal estate taxes, a CLT is not a tax-free entity. Any income the trust generates in excess of the amount paid to charity is still taxable. And the sale of appreciated assets held within the trust may trigger capital gains taxes. In the eyes of a charity, a CRT is the mirror image of a CLT. A CRT first pays income to noncharitable beneficiaries before permanently awarding ownership of its assets to the charity. But in the eyes of Uncle Sam and taxpayers, the most significant differences lie elsewhere. First and foremost, a CRT is a tax-exempt entity. For this reason, CRTs can be extremely useful for individuals who want to sell appreciated assets, such as investors eager to liquidate highly appreciated, concentrated stock portfolios in order to reallocate the money within more diversified portfolios or to create income streams for themselves or beneficiaries. In addition, a grantor can claim a tax deduction for his or her donation to a CRT, equal to the present value of the charitable remainder interest. And although a CRT's assets are ultimately distributed to the charity free of estate and gift taxes, the noncharitable beneficiaries of a CRT must pay income taxes on the income received from the trust. As with CLTs, CRTs are classified according to their payment methods. A charitable remainder annuity trust pays a fixed dollar amount at least annually, whereas a charitable remainder unitrust pays a fixed percentage of the fair market value of the trusts assets. According to IRS guidelines, each type of CRT must pay no less than 5%, but no more than 50%, of its fair market value annually. A CRT may remain in effect for life or for a predetermined period of time, not to exceed 20 years. Tax rules governing trusts are complex. You should seek the advice of a qualified tax and trust professional before determining which strategy is better for your situation. Robert J. Pyle, CFP®, CFA is president of Diversified Asset Management, Inc. (DAM I). DAMI is licensed as an investment adviser with the State of Colorado Division of Securities, and its investment advisory representatives are licensed by the State of Colorado. DAMI will only transact business in other states to the extent DAMI has made the requisite notice filings or obtained the necessary licensing in such state. No follow up or individualized responses to persons in other jurisdictions that involve either rendering or attempting to render personalized investment advice for compensation will be made absent compliance with applicable legal requirements, or an applicable exemption or exclusion. It does not constitute investment or tax advice. 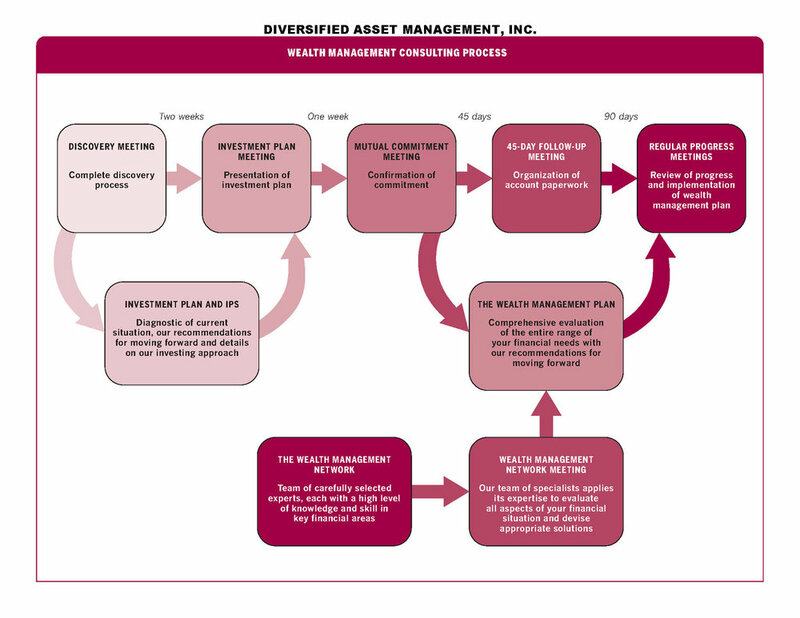 To contact Robert, call 303-440-2906 or e-mail info@diversifiedassetmanagement.com. The views, opinion, information and content provided here are solely those of the respective authors, and may not represent the views or opinions of Diversified Asset M anagement, Inc. The selection of any posts or articles should not be regarded as an explicit or implicit endorsement or recommendation of any such posts or articles, or services provided or referenced and statements made by the authors of such posts or articles. Diversified Asset Management, Inc. cannot guarantee the accuracy or currency of any such third party information or content, and does not undertake to verify or update such information or content. Any such information or other content should not be construed as investment, legal, accounting or tax advice. Several years ago, Jack's father died. Jack grieved not only for his father's passing, but also for his widowed mother who had been married to Jack's father for 35 years. In due course, Jack's mother remarried. However, when she eventually passed away, Jack suffered a double loss: Jack not only lost his mother, but also most of his inheritance. Just the year before, she had given her second husband a substantial sum to start a new business. Jack's father could have preserved Jack's inheritance, while at the same time providing for Jack's mother, with a qualified terminable interest property (QTIP) trust. With a QTIP trust, rather than simply leaving your assets to your spouse outright in your will, you specify that all or a portion of your assets should be transferred to the trust upon your death. The trustee you choose is legally responsible for holding and investing the assets as you provide. The QTIP trust pays your spouse a life income. After your spouse dies, your children (or anyone else you choose) will receive the trust principal. With a QTIP trust, your spouse cannot prevent the trustee from transferring the assets to your intended beneficiaries. Current federal estate-tax law allows an unlimited marital deduction for assets that pass from one spouse to the other. To secure the deduction, assets generally must pass to the surviving spouse directly or through a qualifying trust. Thus, it's important to structure your QTIP trust so that the trust assets qualify for the marital deduction. This will allow your estate to avoid paying taxes on the trust property. The trust assets will be included in your spouse's gross estate for estate-tax purposes. However, your spouse's estate will be entitled to a unified credit that could eliminate some -- or perhaps all -- of the estate tax. Many estate planning decisions that are simple for traditional families can prove very complicated in today's age of multiple marriages and "blended families." There are many scenarios in which a QTIP trust can be used to prevent future problems. Consider a remarriage involving children from a former marriage. In this case, a QTIP trust can help control the ultimate disposition of assets. The trust also can be used when professional management of assets is desirable for the surviving spouse. After all, placing assets directly in the hands of a spouse who may lack investment or financial experience can be a costly mistake. By setting up a QTIP trust, you make sure that your trust assets will eventually go to the individuals you choose to receive them. The result will be the same even if your spouse remarries, drafts a new will, or experiences investment losses. You'll be able to provide for your spouse and preserve assets for your children or other beneficiaries, regardless of how your family's circumstances may change. A problem-free QTIP trust requires an experienced professional trustee who can manage the trust for your surviving spouse and children in accordance with your wishes. Your financial advisor can help you secure the services of a qualified professional with experience administering QTIP trusts. Together, they can help to ensure that your assets are well cared for throughout the term of the trust. This communication is not intended to be legal/estate planning advice and should not be treated as such. Each individual's situation is different. You should contact a qualified legal/estate planning professional to discuss your personal situation. For those fortunate few individuals whose personal wealth exceeds the current estate-tax exemption threshold -- $5.43 million for 2015 rising to $5.45 million for 2016 -- today's historically low interest rate environment offers potentially powerful wealth transfer opportunities. Recent low rates of interest have affected two important factors used to value wealth transfers involving trusts -- the applicable federal rate (AFR) and the Section 7520 rate -- both of which are published and calculated each month by the Internal Revenue Service (IRS). These rates reflect what the IRS assumes the assets in a trust will earn over the life of the portfolio. They are sometimes referred to as "hurdle" rates because if investment returns outperform the interest rate, the difference may be passed tax free to trust beneficiaries. Given current conditions, the following strategies may prove especially attractive. Grant or Retained Annuity Trusts (GRATs). A GRAT is an irrevocable trust that is used to shift the growth and appreciation of assets from one generation to the next, often with little or no gift-tax consequence. In a typical GRAT, a donor or "grantor" places stock or other assets in the trust for a specified term during which he or she takes back principal in the form of annuity payments that are calculated using the low IRS-prescribed interest rate. Any appreciation in trust assets above that interest rate passes to the GRAT's remainder beneficiaries outside of the transfer-tax system. Thus, the lower the interest rate, the greater the potential gift that can pass out of the donor's taxable estate to heirs. How might a GRAT play out today? Given current conditions, an individual could transfer more shares of depressed stock into a GRAT. Then, if the market rebounds and outperforms the hurdle rate for an extended period, that difference could represe nt considerable wealth that would transfer to heirs. Charitable Lead Annuity Trusts (CLATs). For those who wish to combine charitable giving with the transfer of wealth to family members, a CLAT offers an alternative solution to a GRAT. In this case, periodic annuity payments are made to a charity of choice, not the grantor. At the end of the trust's term, any remaining assets are then paid out to the non-charitable beneficiaries, typically family members, tax free. Sale of Assets to a Family Trust. Another potentially attractive technique is to sell (rather than give) assets that are likely to appreciate in value to a family trust for the benefit of children. The grantor receives a promissory note with AFR interest. Because the grantor is essentially making a loan to himself or herself, the interest received on the note is not considered taxable income. As the property increases in value, the note remains static, while appreciated assets pass to heirs. The current environment may present an attractive opportunity for those gifting assets as well as those receiving them. Be sure to explore these and other wealth transfer options with your tax and legal advisors as part of your overall planning strategy. This communication is not intended as tax and/or legal advice and should not be treated as such. Each individual's situation is different. You should contact your tax professional to discuss your personal situation. Because of the possibility of human or mechanical error by Wealth Management Systems Inc. or its sources, neither Wealth Management Systems Inc. nor its sources guarantees the accuracy, adequacy, completeness or availability of any information and is not responsible for any errors or omissions or for the results obtained from the use of such information. In no event shall Wealth Management Systems Inc. be liable fo r any indirect, special or consequential damages in connection with subscriber's or others' use of the content. Robert J. Pyle, CFP®, CFA is president of Diversified Asset Management, Inc. (DAMI). DAMI is licensed as an investment adviser with the State of Colorado Division of Securities, and its investment advisory representatives are licensed by the State of Colorado. DAMI will only transact business in other states to the extent DAMI has made the requisite notice filings or obtained the necessary licensing in such state. No follow up or individualized responses to persons in other jurisdictions that involve either rendering or attempting to render personalized investment advice for compensation will be made absent compliance with applicable legal requirements, or an applicable exemption or exclusion. It does not constitute investment or tax advice. To contact Robert, call 303-440 -2906 or e-mail info@diversifiedassetmanagement.com. Estate planning can be a minefield of potential missteps, some of which could have far-reaching consequences. Many of the poor choices individuals make when planning for their own future or passing assets to their families are caused by "one-size-fits-all" planning strategies or well-intended advice from family or friends. Following are some common and potentially costly mistakes along with suggestions for avoiding them. Failing to plan. Whether drafting a basic will or crafting an elaborate strategy involving trusts and tax planning, an estate plan can help reduce estate taxes, save on estate administrative costs and specify how your assets are to be distributed. Today, the majority of Americans have no will. If you die without one, your estate will be divided according to the intestacy laws of your state -- not according to your wishes. This could create problems if your intended beneficiary is a minor child, a child with special needs, a favorite charity, or a combination of the above. In these cases, you need a will that details each contingency and a trust or multiple trusts to accomplish your goals. Not maximizing your marital estate exemptions. Perhaps one of the most important pieces of tax legislation passed recently is referred to as the "portability" provision. This means that if one spouse dies without using up his or her federal estate tax exemption -- $5.43 million in 2015 -- the unused portion may be transferred to the surviving spouse without incurring any federal estate tax. If Jim dies in 2015, the executor of his estate can elect to use the unlimited spousal exemption and can also transfer Jim's unused $5.43 million federal estate tax exemption to Helen. If Helen dies in 2015 with $8 million in assets, her estate will have a total of $10.86 million in federal estate-tax exemptions: the $5.43 million exclusion transferred from Jim and her own $5.43 million exclusion. As a result, none of Jim and Helen's $8 million estate would be subject to federal estate tax. As welcome as the portability provision may be, it still does not account for future appreciation of assets from the first spouse's estate. Nor does portability offer protection from creditors and others aiming to lay claim on an estate's assets. Traditional strategies like credit shelter trusts and bypass trusts do provide these benefits and therefore are still essential planning instruments for married couples. Naming a family member as executor. Your executor is the person who will be responsible for administering your estate after death. The responsibilities of an executor are serious, and you will want someone who will take them seriously. There are many important reasons to choose a paid executor -- a bank or trust company, for instance -- along with (or instead of) a spouse or family member. A professional executor is familiar with the probate process and may actually save the family money, keeping expenses under control. This will undoubtedly be an emotional time for your loved ones, and a family member may find it difficult to focus on the details involved with settling an estate. In addition, when you name a family member, especially a beneficiary as executor, you introduce the potential for conflict of interest. The larger the estate, the more likely those conflicts become. Relying on advice from family or friends. Would you go to a friend or relative for surgery or to fix your car if he or she was not a skilled surgeon or auto mechanic? Why would you take their advice about estate planning issues if they are not professional planners? When seeking a professional, look for a specialist -- someone who knows trusts, estate tax law, and probate issues. A specialist will have more experience and skill in his/her chosen area -- and that will translate into higher quality services provided in the most cost effective manner. No set of rules or advice can apply in all cases, but a sure way to avoid these and other problems is to rely on a trusted team of tax and legal professionals led by your financial advisor. This communication is not intended to be tax and/or legal advice and should not be treated as such. Each individual's situation is different. You should contact your tax/legal professional to discuss your personal situation. Special occasions often call for gift giving: a graduation in May, a wedding in June, an anniversary in July, and birthdays throughout the year. Each event seems to sneak up on us -- and our budgets. Retailers plan for holidays and seasonal sales, so why not do a little gift planning of your own? • Save now. Gift buying will seem more manageable if you've been saving for it a little at a time. Whether you set up a formal gift account and contribute to it regularly or just stash away a few extra dollars here and there, it's good to accumulate cash that is earmarked for gift giving. • Put a cap on spending. Work out a gift-giving budget for the year that includes a comfortable spending limit as well as a detailed list of individual gifts with spending caps for each. Then stick to it. • Avoid credit traps. If you must charge your purchases, put them on your bank credit card. Department store cards typically charge a much higher interest rate. And make sure you watch out for the "buy now, pay later" offers. Although tempting at the time, it is very easy to forget about a DVD recorder you bought in November if the first payment isn't due until March. • Two for one. When you find a great deal on something nice, buy two -- one for yourself and one to give away. Then, when a birthday or other unexpected event pops up and catches you by surprise, you'll be prepared with a gift. Importantly, you will have avoided the last-minute (and often expensive) rush to buy something quickly. • Take advantage of post-holiday sales. In Canada, the United Kingdom, and other Commonwealth countries they call it Boxing Day, but here it's just the day after Christmas. For those truly die-hard shoppers, it can be the best shopping day of the year. Stores slash already reduced prices even more to make way for spring inventories. Gift giving is one of the easiest ways to overspend. But if you do a little planning before you shop, you'll approach each occasion with your budget and generosity intact. If you'd like to give a child money but want to do something more lasting than writing a check, consider setting up a custodial account under either the Uniform Gifts to Minors Act or Uniform Transfers to Minors Act (UGMA/UTMA) through a bank or investment company. Custodial accounts can help finance a child's future and lessen the giver's tax burden. Here are a few details you should be aware of. • There are no income limits affecting eligibility to fund a custodial account. • You can gift away up to $14,000 per child, each year ($28,000 for married couples) to as many children as you like without owing gift taxes. Beyond those amounts, gifts may be subject to federal gift taxes. • Gifts made to UGMA/UTMA accounts are considered irrevocable; once the child reaches legal age (18 or 21, depending on the state), he or she gains full control over the assets. • Since custodial accounts belong to the child, account assets may decrease the amount of financial aid a child can receive. Tax rules affecting UTMA/UGMA accounts bear careful consideration. Under the so-called "Kiddie Tax" rules, a child's investment income over a certain level is taxed at his or her parents' rate rather than the child's lower rate (typically 5% for most children). Prior to 2006, the Kiddie Tax rule applied only to children younger than 14. But the age limit has risen twice in the past few years. Now the Kiddie Tax includes dependents up to the age of 19 and those up to the age of 24 who are full-time students. Any investment income earned in excess of $2,000 will be taxed at the parents' higher tax rate. This communication is not intended to be tax advice and should not be treated as such. Each individual's tax situation is different. You should contact your tax professional to discuss your personal situation. If you have been named as a beneficiary of a trust, you probably have many questions about what comes next. Trusts can take many forms and may be governed by unique provisions established by the creator of the trust or "grantor." As a trust beneficiary, you have certain rights. But to ensure that your financial and other interests are fully protected, you need some basic information about different trust structures and their management. At their most basic, trusts can be grouped into two broad categories -- living trusts and testamentary trusts. A living trust is created by an individual during his or her lifetime. The grantor transfers property to a trust that is managed for the trust beneficiaries by a trustee. The grantor may act as trustee, or he or she may appoint another family member or family advisor, such as an attorney or accountant to be the trustee. A testamentary trust is established by will upon the death of the person whose assets it represents. Testamentary trusts can be used for many purposes; chief among them to provide for current and future beneficiaries. In either case, it is the trustee who is charged with administering the trust in strict accordance with its terms. If this so-called fiduciary duty of the trustee is breached in some way, beneficiaries have the right to protect their interests by taking legal action against the trustee. Following is a brief overview of the trustee's role and responsibilities. • Asset collection and protection -- Two of the trustee's key responsibilities are collecting assets earmarked for the trust and ensuring the protection of those assets. For instance, if real estate is included as a trust asset, the trustee is responsible for the maintenance and upkeep of the property and maintaining appropriate insurance on the property. In the case of financial assets, such as cash or securities, the trustee must maintain one or more separate accounts on behalf of trust beneficiaries. • Investment oversight -- The trustee ensures there is a plan in place to address the needs and interests of current and future beneficiaries. Typically, trust investments are expected to generate income for beneficiaries while also retaining and reinvesting principal. In some cases, the trustee may have the authority to make distributions of principal to beneficiaries. • Taxes -- The trustee reports all income generated by trust assets and pays tax on any undistributed income as well as capital gains realized by the trust. In addition, the trustee informs beneficiaries of the amounts that they must report on their personal income tax returns as a result of trust distributions. • Record keeping -- The trustee is responsible for documenting every transaction that takes place in the trust accounts. Prior to final settlement, the trustee must demonstrate to the beneficiaries that all assets and income have been properly administered and distributed. In addition to regular accounting of trust assets, beneficiaries have a right to request a special accounting from the trustee if there is reason to suspect a problem with the trustee's performance of his or her fiduciary role. If it is found that the trustee is in violation of his or her responsibilities or fails to provide proper documentation of trust activity, then the beneficiary has the right to take legal action, including removing the trustee and requesting a replacement. Such action is normally handled by filing a petition with the local probate court. Living trusts may be revocable or irrevocable. As its name implies, property held in a revocable trust may be "revoked" at any time; the terms of the trust may be changed and assets returned to the grantor. He or she can establish detailed instructions as to the handling of trust assets during his or her life and ensure continuity of management upon incapacity or death. Revocable trusts need not be filed in probate court after death, thus maintaining family privacy. However, the grantor will be subject to income and estate tax as if the property were owned outright. In contrast, assets placed in an irrevocable trust are permanently removed from the grantor's estate, and any income and/or capital gains taxes owed on assets in the trust are paid by the trust. Upon the grantor's death, the assets in the trust are not considered part of his or her estate and are therefore not subject to estate taxes. While requiring some loss of grantor control, a properly drafted irrevocable living trust allows individuals of substantial wealth to begin transferring assets to beneficiaries during their lifetime without incurring gift or estate tax. (Please note that a three-year survival period may be required in certain situations). For example, the normal annual limit on tax-free gifts is $14,000 per beneficiary in 2015, an amount that may be indexed for inflation in future years. Under some circumstances, a taxpayer may include amounts above that in his or her unified estate and gift tax exclusion amount ($5.43 million in 2015 for an individual, twice that for a married couple, and subject to indexing for inflation in subsequent years). In addition, upon the grantor's death, appreciation on the remaining trust assets is not subject to estate tax (assuming any three-year survival requirements are met). These plans are also highly vulnerable to tax losses, if they are not bequeathed properly. For instance, a $1 million IRA inheritance could be whittled to almost nothing under worst-possible circumstances, such as a combination of estate taxes, top income tax brackets, and missed withdrawal deadlines. Saving your heirs thousands of tax dollars on your retirement money often hinges on the decisions you make before you retire. Therefore, it's important to take a look now at how to save heirs tax headaches later on. The IRS rules for calculating the required minimum distribution (RMD) from IRAs and qualified retirement plans provide some longer-term planning advantages. For the tax conscious, the premise behind retirement plan distributions is simple -- the longer you are expected to live, the less the IRS requires you to withdraw (and pay taxes on) each year. Because your heirs could inherit this payout schedule along with the assets' tax bill, talk to your tax or financial advisor about how these rules should be applied to best meet your goals and objectives. Keep in mind that if you or your heirs do not withdraw minimum amounts when required, taxes can take half of what should have been withdrawn. 1. Selecting a beneficiary -- If no one is named, your assets could end up in probate and your beneficiaries could be taking distributions faster than they expected. In most cases spousal beneficiaries are ideal, because they have several options that aren't available to other beneficiaries, including the marital deduction for the federal estate tax and the ability to transfer plan assets -- in most cases -- into a rollover IRA. 2. Consider the options for multiple beneficiaries -- If you want to leave your retirement assets to several younger heirs (such as your children), the IRS has issued "private letter" rulings that suggest that the assets in a stretch IRA may be split into several accounts, each with its own beneficiary. That way, distributions will be based on each beneficiary's age. In addition, the rules provide added flexibility in that beneficiary designations need not be finalized until December 31 of the year following the year of the IRA owner's death for the purposes of determining required distributions. Therefore, an older beneficiary (e.g., a son or daughter of the IRA owner) may be able to either cash out or "disclaim" their portion of the IRA proceeds, potentially leaving the remainder of the IRA proceeds to a younger beneficiary (e.g., a grandchild of the IRA owner). As long as this is done prior to December 31 of the year fo llowing the year of the IRA owner's death, distributions will be calculated based on the younger beneficiary's age. Because rules governing use of these strategies are complex, speak with a tax attorney or financial advisor to make sure that correct requirements are followed. 3. Being generous -- Plan assets given to charity are fully estate tax deductible, and no income tax is due on this gift. You should contact your tax or financial advisor to gain a better understanding of the tax benefits of donating IRA or qualified plan assets to charity. 4. Consider an irrevocable trust -- Because qualified plan assets qualify for the unlimited marital deduction, spousal beneficiaries may inherit these assets without tax consequences when the assets are left intact as part of the estate. Some estate planning experts have developed strategies using an irrevocable trust. This type of planning is very complex and requires specialized expertise in estate planning. •Consider a rollover IRA -- With rollover IRAs, you can practice some creative tax planning, such as setting up stretch IRAs for your children or recalculating the distribution schedule for yourself. •"Disclaim" IRA assets if you don't need them -- If you are the primary beneficiary of an IRA and your child is the contingent beneficiary, you may be able to disclaim your right to the IRA proceeds. If done so by December 31 of the year following the year after the IRA owner's death, future distributions may be based on your child's age, effectively spreading those distributions out over a longer period of time. Be sure to check with a tax attorney prior to using these strategies. •With stretch IRAs, don't use your name! -- Under IRS rules, your inherited IRA becomes immediately taxable if you switch the account into your name. •Watch the calendar -- The account also becomes immediately taxable if you don't take your first required payout from an inherited IRA by December 31 of the year after the account owner's death. With careful planning, your retirement assets can remain as vital as they had been during your lifetime. Talk with your tax advisor and with those who may bequeath a retirement legacy to you -- such as parents or grandparents -- to see what type of tax planning they've put in place. Opening the doors to this discussion could make your tax burden lighter later on and bring peace of mind to your family. 1. If retirement plan assets aren't bequeathed properly, heirs could lose half of this inheritance to taxes. 2. The longer your life expectancy is for distribution purposes, the smaller the annual tax bill will be for both you and your heirs. 3. Some easy ways to make plan distributions more tax efficient for your heirs include opening stretch IRAs, leaving a portion of retirement assets to charity, and transferring assets into an irrevocable trust. 4. Plan heirs can reduce taxes on inherited plan assets by using rollover IRAs, observing minimum distribution deadlines, and taking special tax deductions, if eligible. 5. Consult a qualified tax professional to see how the new distribution rules may affect your financial affairs. 1. This example is hypothetical and is not meant to be tax advice. Please contact a tax attorney or financial advisor as to how this information could apply to your situation. Discussing the transfer of wealth from parents to children can be uncomfortable for both parties. Yet by introducing children to the wealth management process from a young age, affluent families may be able to reduce family tensions later in life and help ensure that the planning tradition passes intact to future generations. Opening the dialogue about wealth transfer is a complicated, personal decision that is influenced largely by how wealth holders themselves have been brought up to view money and the responsibilities that come with it. For instance, some individuals may fear that discussing wealth with their children will lead to feelings of expectation and entitlement. Others may simply prefer to control all money issues themselves. Still others with young children may be uncertain about their future wealth and reluctant to discuss it until their children are older and have proven how well -- or poorly -- they handle money. One strategy that may help families overcome planning challenges is to think about wealth planning not as a one-time exercise, but as a process that you live with every day -- and that you integrate into children's lives at a very early age. For instance, when children are young, you can teach them to divide their allowances into three portions -- one for saving, one for spending, and one for giving. Consider matching their giving and saving money and set an example by handling your own money in a similar fashion. Once children become teenagers, allow them to make their own decisions about how they spend their money, and as difficult as it may be, allow them to live with the consequences of their decisions. As children make the passage to adulthood, gradually involve them in the family business as well as the family's charitable giving activities. Certainly, the more wealth a family has, the more important it becomes to make managing wealth a process, especially if wealth has existed for multiple generations and there are instruments such as family foundations in place. In this way, early involvement helps families prepare heirs for their future role as stewards of the family wealth. It also helps develop the skills and experience needed to manage a family business or wealth plan, while ensuring that such knowledge is shared and passes successfully to the next generation. Working together with your team of planning professionals -- your financial advisor and estate and/or tax planner -- you will be able to assess your current situation and develop first steps toward implementing a plan of action. This communication is not intended to be tax or legal advice and should not be treated as such. Each individual's situation is different. You should contact your tax and/or legal professional to discuss your personal situation.